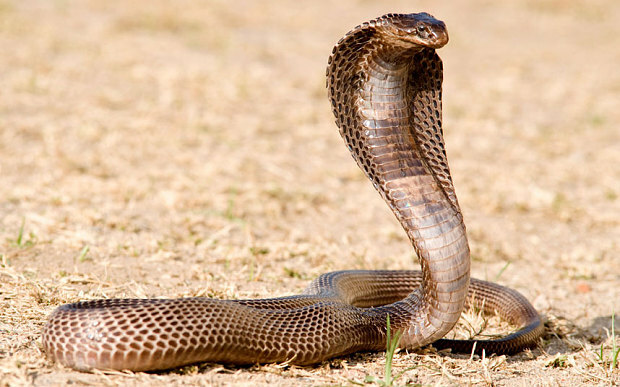 The shocking incident happened earlier in the week at Bulawayo, Zimbabwe as students ran helter skelter after the sudden appearance of a snake during school assembly. The incident left many of the students injured in the ensuing pandemonium. Speaking about what actually happened, a reliable source told Zimbabwean media outlet, B-Metro : "It’s not really clear what caused the children to run away from school because there are two different versions; both involve a snake. ”When they were at the assembly point, it’s said one pupil fell down and started moving like a snake resulting in teachers and pupils scurrying. “Some pupils claim it was a real snake and they ran away after seeing it. "Others just screamed and followed the rest,” he said. The incident caused the school management to cancel school lessons for the day. Dan Moyo, the Education Director of the province is yet to confirm the particular school where the incident took place as he said he had not yet received the report from the school headmaster.